Imagine the weirdest conversation you’ve had with your friends. Now imagine the funniest conversation you’ve had with them. Mix them up. Multiply it by 100.Divide it by zero. That’s how weirdly funny this book is! 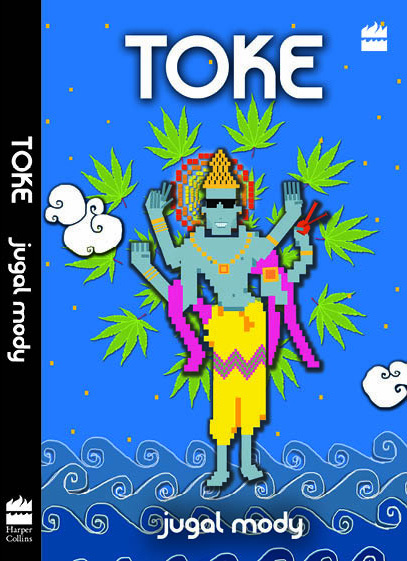 Toke is Jugal Mody’s first book and I have no clue what to make of it. The book is unlike any other book you’ll have read and I would like to take this opportunity to give a small ovation to Harper Collins India for having the balls to publish this work. I do not say that it is bad. On the contrary, the outlined plot is pretty simple and has nothing absurd about it. It’s the details that derail it from reality. But the writing is fresh and brash; a refreshing change from the monotonous attempts by newbie’s to be Salman Rushdie or Shakespeare by diving into literary metaphors which make no sense. So Lord Vishnu showed up one morning when I was really stoned and asked me to save the world from turning undead. How did I save the world? I didn’t. We did. And while saving the world, I got to forcefully kiss the girl of my dreams. Many times. My best friends got to smoke a lot of good stuff. A lot more than they would have otherwise smoked in that much time. They also got to crash an airplane into a slum outside Santacruz airport. But don’t worry, there were only zombies around when that happened. We were joined in our quest by two Japanese girls who can kill people with their pinkies, one of whom forcefully kissed Danny. Yes, there was a lot of non-consensual kissing in this adventure. With tongue. Hi. I’m Nikhil. This is my story. And I swear I have a T-shirt to prove it. The “thumbs-down” for the book goes to the absurdities. I felt that Jugal stretched the weird stuff a bit too far which simply wrecked the whole thing. I can’t mention much because of spoilers but after a while, the ploys of marijuana high characters get boring. In all, the book is a fine weekend read. Nothing enriching or invigorating. But definitely funny. Read and laugh fellas! 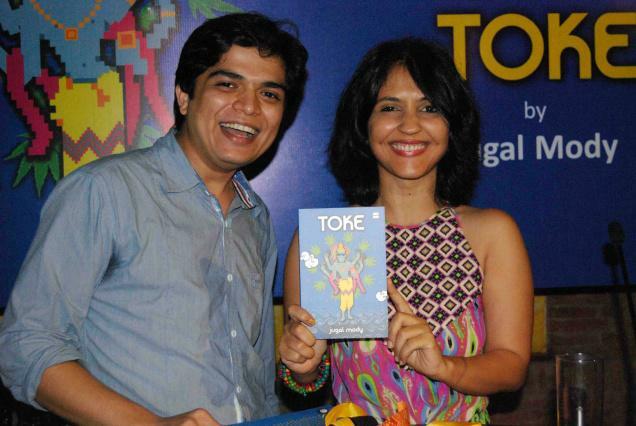 This entry was posted in Book, Book Review, Harper Collins India, Jugal Mody, Toke.